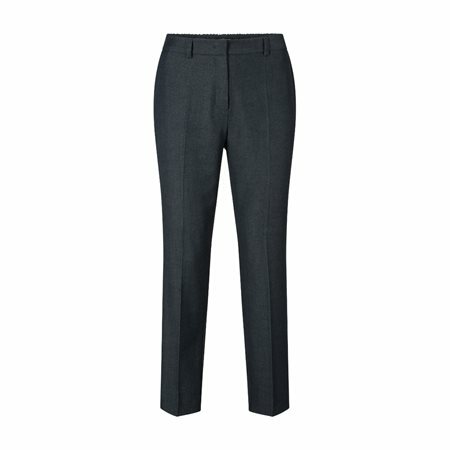 These trousers with their side pockets, rear welt pockets and creases are an absolute must-have for styling a perfect office outfit. The modern look is supported by the cigarette shape. Their fit is both comfortable and fashionable, for women with a feminine figure. With an increased body height, comfortable thighs and narrow legs, it is an absolute trend part. The elasticity at the back of the cuff provides additional wearing comfort.